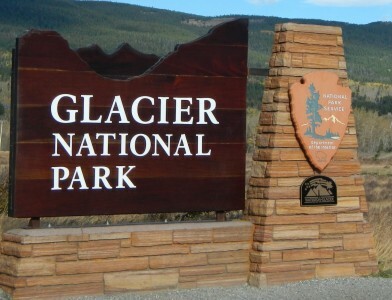 West Glacier, MT – This fall, Glacier National Park and Columbia Falls High School will begin an innovative partnership projected to last multiple years, building cabins for park housing and other needs. Over the 2019-2020 school year, students will participate in building design using computer aided design and drafting (CADD) software, materials cost-estimating, and construction planning. They will then build a fully outfitted two-bedroom cabin. At the finish of the school year it will be moved into the park and set on its foundation and connected to the utilities in time for use by summer park employees. The “School-to-Park” program was first piloted at Denali National Park in Alaska in 2004. The Columbia Falls High School construction program will initially build one 18’x26’ cabin that will be placed in the Polebridge Ranger Station area of the park. This cabin will replace a deteriorated residential cabin that has many code violations and is slated for removal. Primary funding will come from the National Park Service (NPS). The funding will provide building materials, special tools, and contracting with a transportation company to move the finished cabin to the site. The funds will also allow the NPS to hire an employee with a wide set of residential construction skills. This park employee will be embedded into Columbia Falls High School and will work in partnership with school faculty to enhance life and career skill opportunities for these high school students. Glacier National Park Conservancy will also support this effort and will offer its expertise to mobilize community support for a successful, sustainable program. This competitive program will require prospective third year students to submit resumes and be “hired” into the class, preparing them for real-world hiring processes once they graduate. The school will look into combining other curricula into this program to prepare the students for careers in engineering, construction management, and business leadership. Students in future years will build additional cabins to alleviate seasonal staff housing shortages in various areas of the park. Discussions about this possible partnership began in the summer of 2018. Funding was awarded in late 2018, allowing school staff to plan for the 2019-20 school year program and curriculum.